Fashion necklace made of shells. 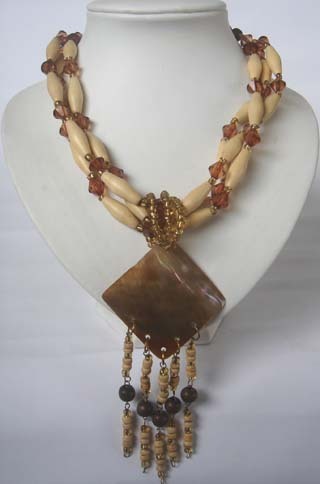 Please see more natural designs at wholesale prices. Perfect for any occasion. Ask for latest designs.